If you are looking for Naples Massage ‘near me’ welcome to the Ryakos Center. You’ve just entered the world of professional massage. Do you need a relaxing, decontracting, therapeutic, firming, beauty treatment? Our massage therapist can satisfy your every need so entrusted to expert hands. 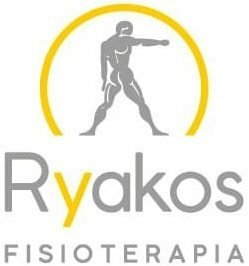 Ryakos is a Center of Campania and Neapolitan excellence with decades of experience in the practice of professional massages, including lymphatic drainage. Massage – one of the oldest manual techniques – is still a very widespread and required treatment but be careful: trust only qualified massage therapist. It’s very important for your health and wellness. Naples massage: what kind of treatment do you need? Our Center, for each kind of massage, offers a free first evaluation: it’s essential to verify your needs and to advise you what you really need. All our treatments are personalized. After performing this particular evaluation, we’ll can recommend you a 30 or 60 minutes treatment. Relaxing massage is perfect if you want to find a moment of relaxation away from stress, but also a new contact and harmony with your body. May be you need another kind relax for resolving contractures and muscle stiffness in the vertebral column, lower and upper limbs. In this case, it’s important to choose a decontracting massage. Ryakos Center applies the Ticchi method to locate exactly the muscle responsible for pain through a series of evaluation tests. Thanks to the Ticchi method and its global approach we can perform a specific, definitive myofascial massage. So your muscles will relax, your movements will be more fluid, you’ll be free of pain. Thanks to acupressure the muscle will regain its maximum strength. Do you know that a contracted and shortened muscle loses its strength and energy? On the body in case of liquid stagnation in the hips and thighs area. There’s a massage technique that contributes greatly to lose weight and drain excess fluids. It helps to reduce centimeters especially in the hips, gluteus and thighs area. This technique is called lymphatic drainage. 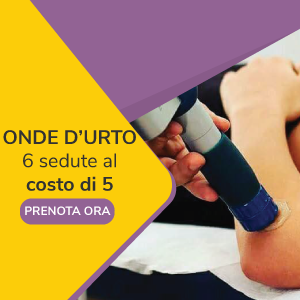 Our Ryakos Center, uses the Vodder method for lymphatic drainage treatment. Ryakos Center massages are also therapeutic (for example, neck massage or massage for low back pain). Therapeutic massage includes a series of manipulative techniques ranging from decontracting methods to myofascial and fascial ones. The goal is to recover the right tissue mobility and plasticity for releasing the joints and restoring the right movement. Naples Massage: come and visit us soon! Ryakos Center is located at Vomero near the Piazza Vanvitelli metro station and the main funicular railways. Our staff consists of both professional masseurs and masseuses to choose according to the needs and requests of customers. All our massage therapists are qualified and graduates: frequently, they participate in refresher courses. Book your massage in Naples today!